Discussion in 'Digital Darkroom' started by PuntaColorada, Apr 6, 2019. Glenn McCreery, Gerald Cafferty, michaellinder and 2 others like this. 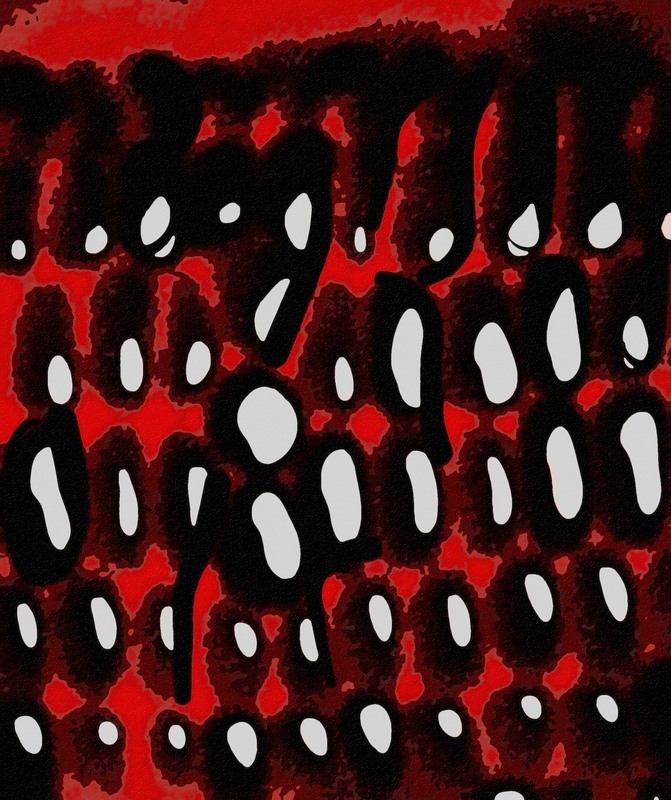 Haha...this is definitely going to set off people prone to trypophobia! mikemorrell and michaellinder like this. LR to crop and adjust shadows / highlights. Cutout Filter in PS Elements. Glenn McCreery, mikemorrell, Gerald Cafferty and 3 others like this. Punta this is a very interesting image. The broken pattern around the octagon is interesting and I relay like this pick. All work done in GIMP. First I coped to make the octagon bigger. Next I unsaturated the image to tone down the yellow. I then used the path tool to select the octagon and converted it to black and white. Then I applied an unsharp mask at 1 value. mikemorrell, Gerald Cafferty, luis triguez and 1 other person like this. Ok, I've gone from beautiful to ugly. My original hope was to create an ear of glass gem corn, but after a few kernels I tired of all the effort. So, I decided to go in the opposite direction to see if I could make my version as disturbing as possible. What??? It was an experiment, perhaps like Dr. Frankenstein’s, which probably ought not to have been attempted. Nevertheless, I tried to create a photo that would be cringe-worthy to those people who are susceptible to the effect of trypophobia—not so much a “fear of holes” as a disgust of seeing openings from which our possibly “deep-seated reptilian brains fear snakes or whatever else might jump out and eat/poison/sting/kill us.” I tried to insert links above. Not sure if they took or not. 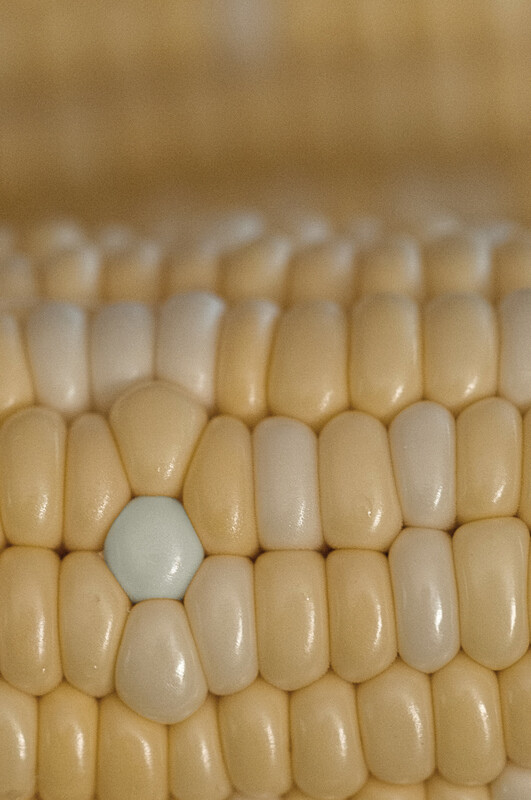 By the way, I did order some of those glass gem corn seeds after I looked them up. Glenn McCreery, mikemorrell, mikehegarty01 and 3 others like this. This would make 'pick-your-own' corn a little more challenging. Leather gloves would be required! All in PS. 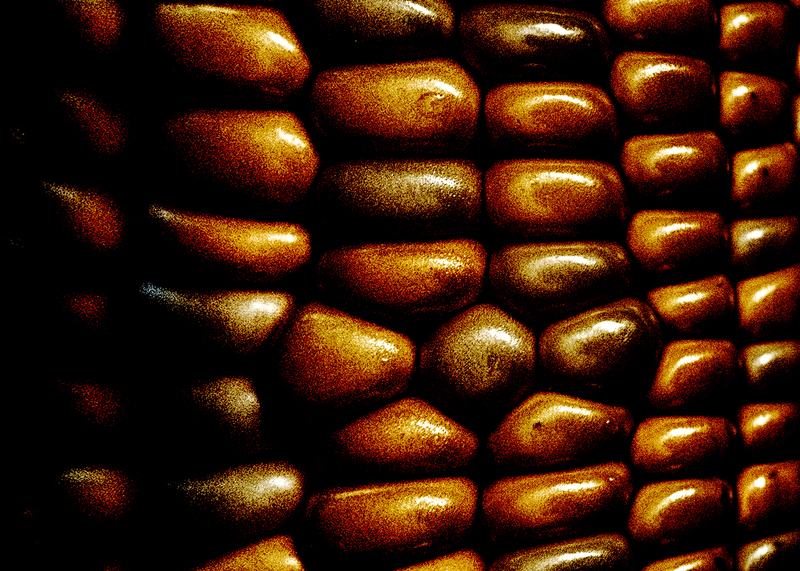 First, I used the pen tool to select the 7 kernels. Then I pasted that selection onto a photo of a flowering cactus. 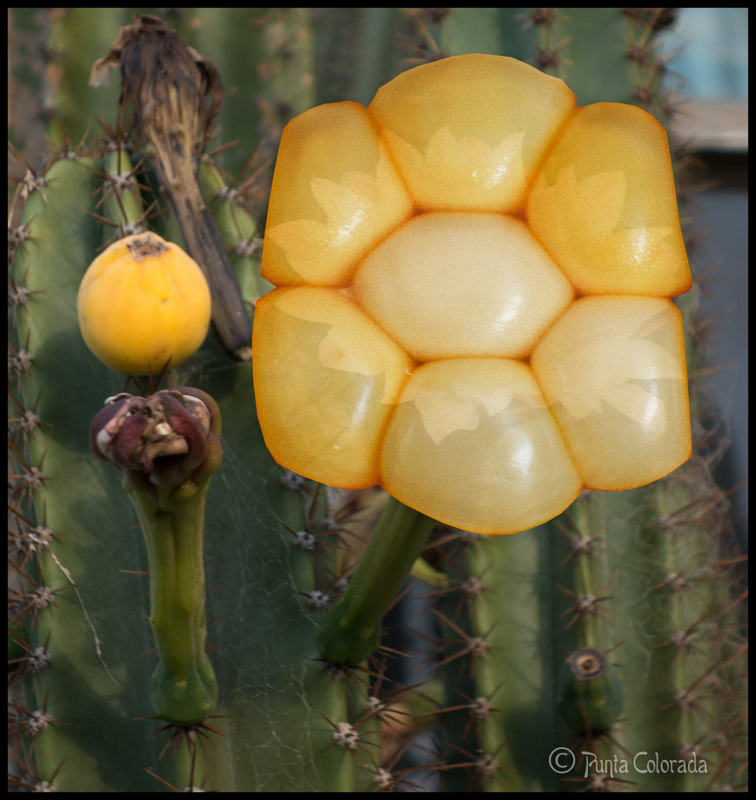 I did some transforming flipping, stretching etc of the kernels and then lowered the opacity so the cactus flower is visible. 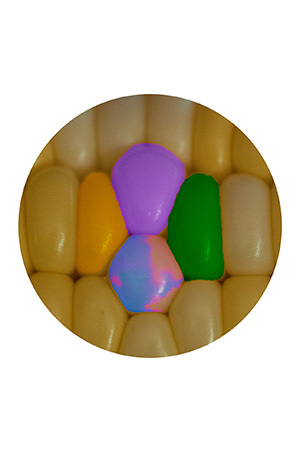 I then did some burning of the outer edges of the 6 outer kernels and around the edge of the inner 'interloper' kernel to give some more depth. And there you go, I took a beautiful cactus flower and made it corny. 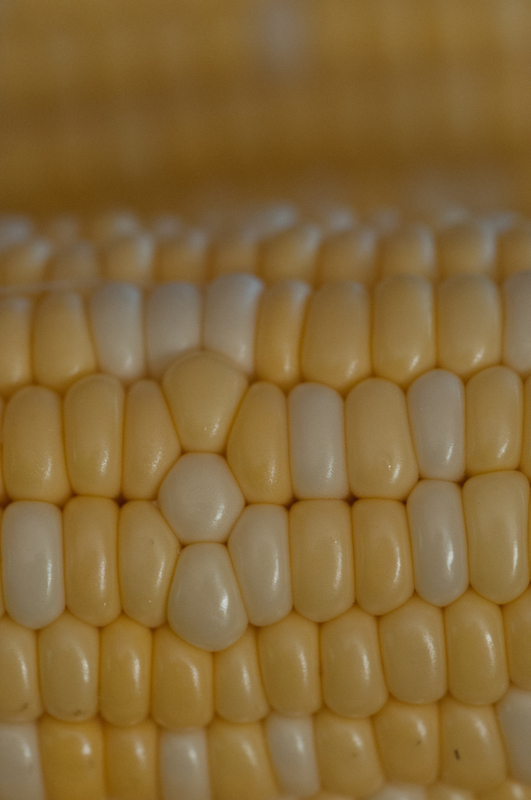 Who would think that a photo of an ear of corn would be suitable for a PPC? More than suitable, Punta! Started in PSE15 - changed aspect ratio to landscape, used correct camera filter to modify horizontal perspective, used levels to modify tonality. Then used Color Efex, detail extractor. Back to PSE, another use of levels. mikemorrell, mikehegarty01, Gerald Cafferty and 3 others like this. I found a lot of cool tutorials to create gemstones in Photoshop on the internet, but they were pretty complicated. 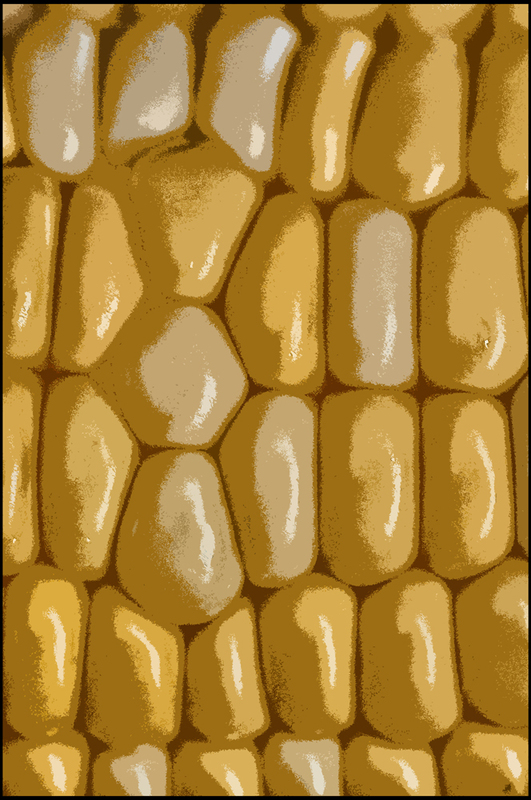 I ended up just painting kernels and didn't get too far before I ran out of patience. Haha. My incomplete and crappy work attached. My kernels look more Easter Eggish. mikemorrell, michaellinder, mikehegarty01 and 2 others like this. Ok, last two attempts. I relied heavily on Topaz Studio AI Remix for this one. Glenn McCreery, mikemorrell, michaellinder and 3 others like this. This version was done with Codijy Pro colorization software (mac/win). It took more effort than Topaz AI Remix, but it was pretty easy. 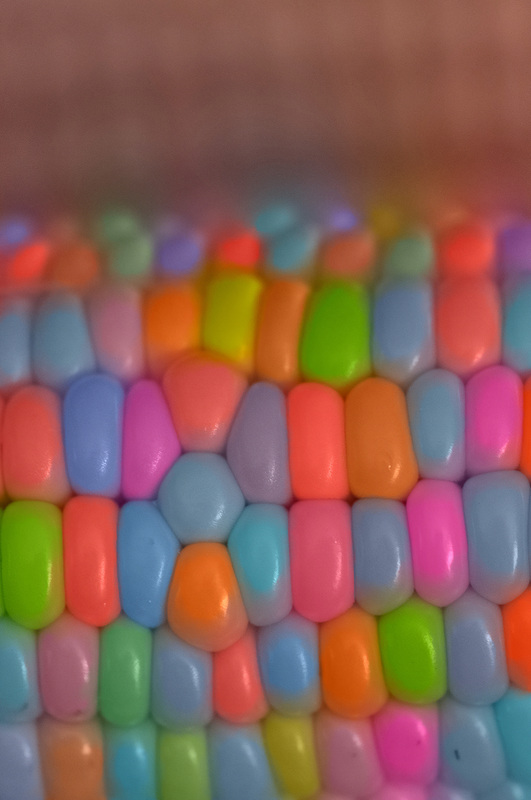 After choosing the desired color, I only had to make a rough circle outline or squiggles on each kernel. It's really amazing software and this challenge forced me to figure it out. Thanks, Punta! Glenn McCreery, mikemorrell, michaellinder and 5 others like this. 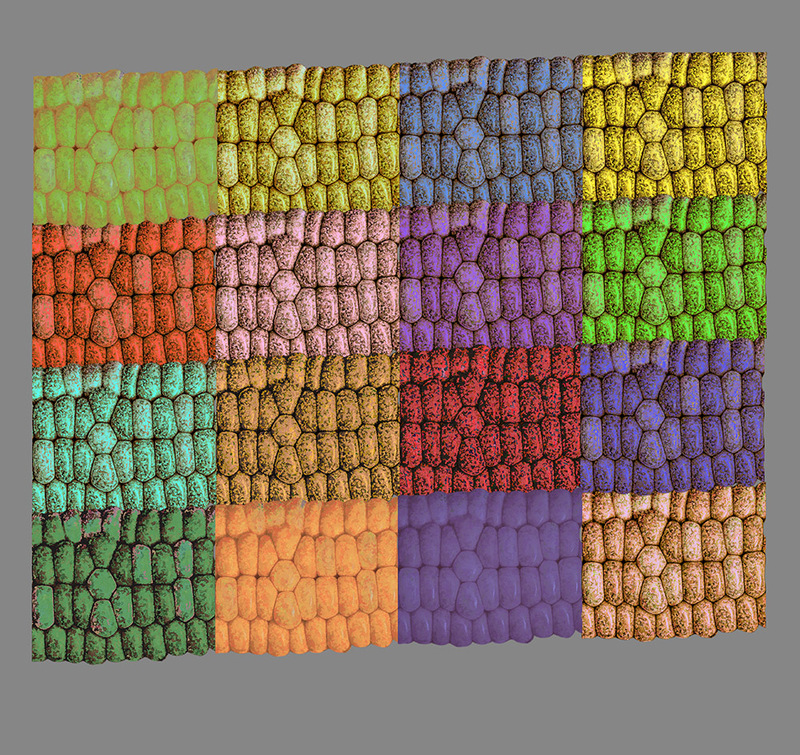 I selected a portion of the image, then copied it and pasted it in nine locations on a new blank background to make a mosaic. 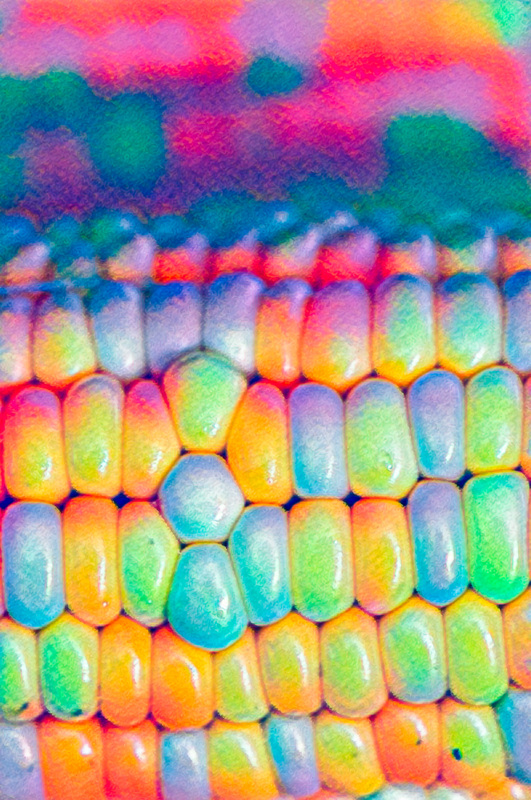 I then adjusted each of the nine separate corn layers in Topaz Simplify using "Painting colorful" settings. Finally, I changed the background color from white to gray. michaellinder, mikehegarty01, tom_r and 3 others like this.